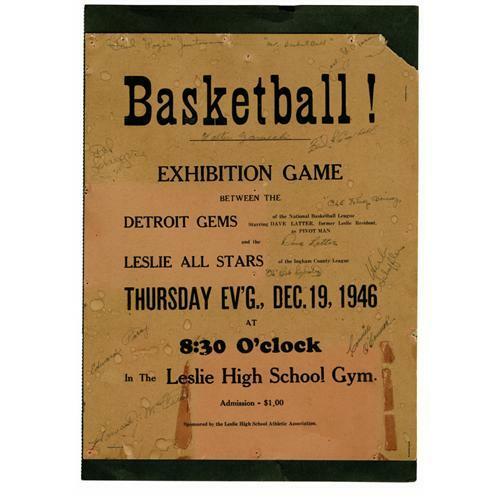 The Laker franchise began its existence as the Detroit Gems basketball team of the National Basketball League (NBL). The Gems were owned by Dearborn, Michigan, entrepreneur C. King Boring. The team played only one season in the NBL under the Gems name, posting a 4-40 record on the court and equally dismal results financially. 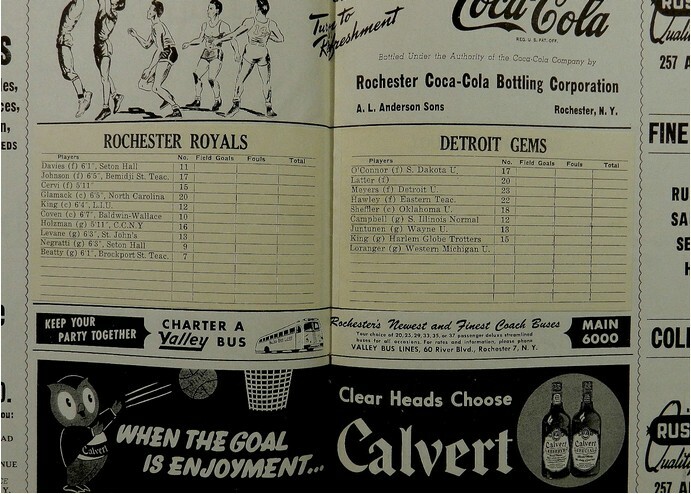 In 1947, Ben Berger and Morris Chalfen bought the Gems from Boring for $15,000. 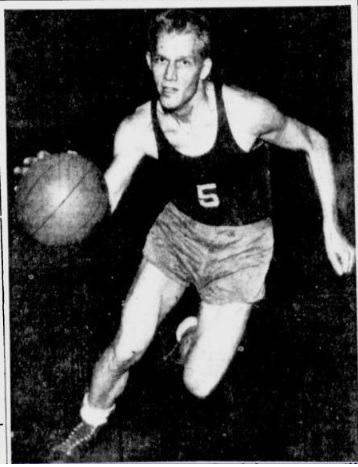 Boring would go on to own the Vagabond Kings, a professional team that found much more success barnstorming in the late 40's and early 50's than the Gems had found playing in the NBL. 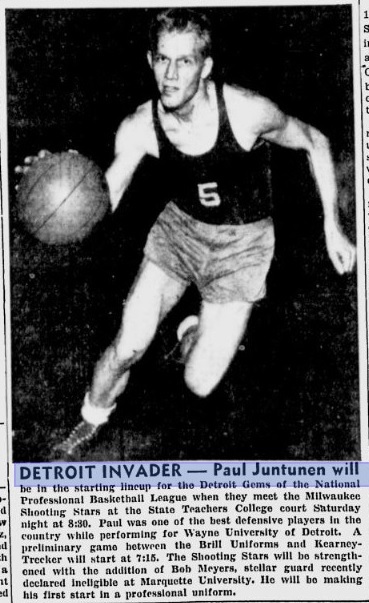 Nonetheless, with the ultimate success that befell the Gems franchise in Minneapolis and Los Angeles, Boring's granddaughter claims that Boring later lamented that he did not maintain a minority ownership interest in the team for himself. 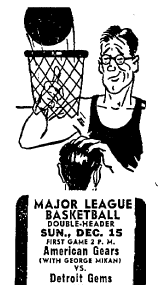 Free Press Ad from 1946. 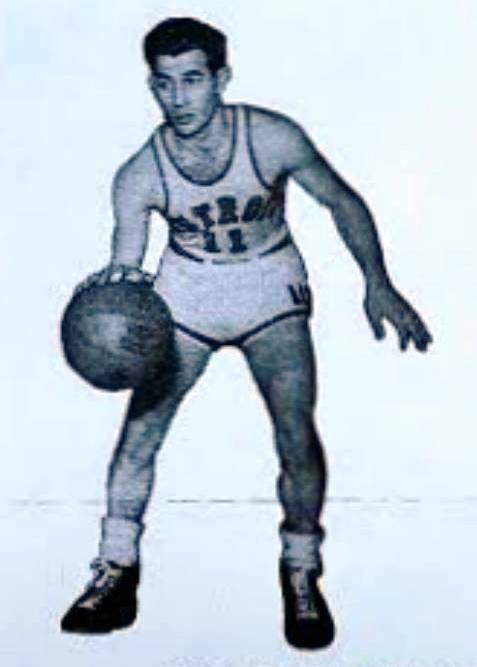 Curtis Henderson, in what could possibly be the Gems home uniform.